Do you have 15 minutes to spare for making a little map magic? Would you like to explore the location where your ancestor lived? With county boundaries changing throughout the 18th and 19th centuries you need to do a little investigating to figure out the lay of the land. Would you like to also see a topographical view of the area? With two free databases, you can now do all of this from your home computer in a matter of minutes. I worked on a project this week researching three generations who lived in the Virginia/Kentucky area from 1745 – 1839. Each generation moved west and their locations not only had county boundary changes, but also a major state boundary change with the creation of the new state of Kentucky. This scenario isn’t unique to my research, we’ll all come across it sooner or later, so how can you quickly make sense of the geography? You might wonder why it even matters – it matters because the records you need to understand your ancestor’s actions are dependent upon jurisdiction. Which county courthouse holds the deeds for your ancestor? 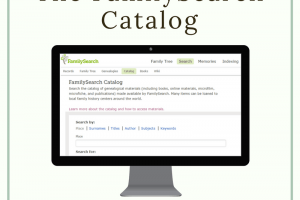 Where are the probate records for the family? You’ll need to know what county they were living in at a particular time to know where to find the records. 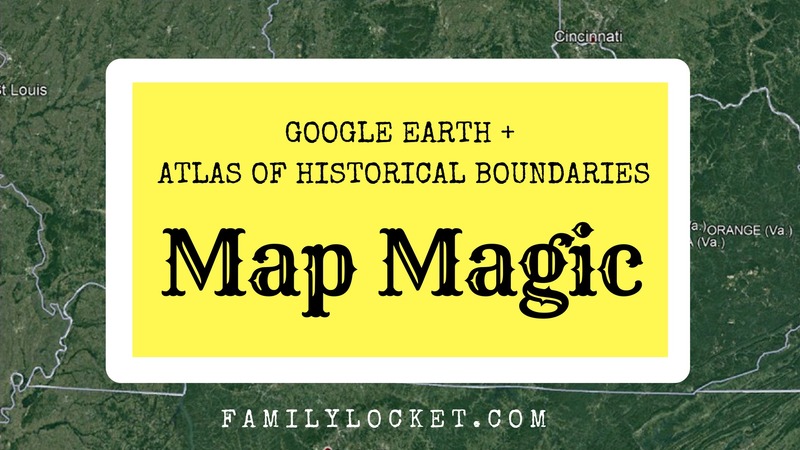 I’ll show you how I used The Atlas of Historical Boundaries databases to create a map timeline for my research report and then how I viewed the area using the desktop application Google Earth Pro. I started my map timeline with a screenshot of the boundaries of Augusta County, Virginia from 1746-1770. As you can see, this was a very large county and encompassed most of what would become Kentucky in 1792. 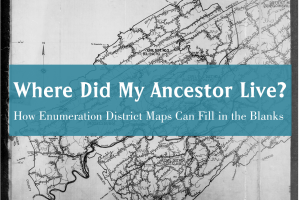 The records for an ancestor living in this area during these years would be found in Augusta County, Virginia, although the county boundaries would greatly change in the coming years. Augusta County, Virginia, “Atlas of Historical County Boundaries,” 1746-1770, The Newberry Library, https://publications.newberry.org/ahcbp/map/map.html#VA : accessed 13 August 2018). By 1770, the large section that would become Kentucky was formed into Botetourt County, Virginia, and Augusta County was greatly reduced in size. I added this screenshot to my map timeline along with the time frame. Augusta County, Virginia, “Atlas of Historical County Boundaries,” 1770-1773.,The Newberry Library, https://publications.newberry.org/ahcbp/map/map.html#VA : accessed 13 August 2018). Augusta County went through several smaller boundary changes until 1791 where it remained stable until 1902. I detailed each of these changes with a screen shot and label, always giving credit to The Atlas of Historical Boundaries. As you can see, an ancestor living in Augusta County in 1779 could have been in a far different area than in 1800. Augusta County, Virginia, “Atlas of Historical County Boundaries,” 1791-1902, The Newberry Library, https://publications.newberry.org/ahcbp/map/map.html#VA : accessed 13 August 2018). Where can you put your map timeline? In your locality guide! I have state guides and smaller county guides for areas that I research. When taking on a new project, I take some time at the beginning to familiarize myself with the boundary changes and create a county guide if it is a new research locality. I keep my guides in Evernote, but you could also create them in Google Docs, One Note, or other word processing program. Once you’ve created your map timeline, another useful tool available for free is the overlay feature in conjunction with Google Earth. The Atlas of Historical County Boundaries has generously made the maps available to download in a variety of files to use with other websites. I followed the directions for using Google Earth KMZ files and in a manner of minutes had an overlay of the boundary changes for Augusta County, Virginia, showing up on my desktop version of Google Earth Pro. As I moved the time slider, the boundary changes appeared overlaid on Google Earth. I could zoom in or out and see the lay of the land. Augusta County, Virginia circa 1756, map created by Google Earth, using the desktop app, Google Earth Pro. 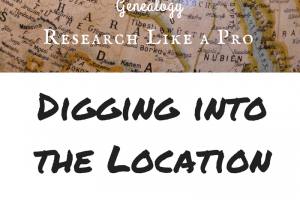 How does viewing the topography help us a genealogists? Mountain ranges, rivers, valleys, and other land forms haven’t changed much in the last 300 years. Looking at the lay of the land can help us understand how our ancestors moved to new areas, how hard it would have been to travel to the next county, and much more. Researching the locality is key in our study of our ancestors. Why not work a little magic with maps and see what you can find! Best of luck in your genealogical endeavors.